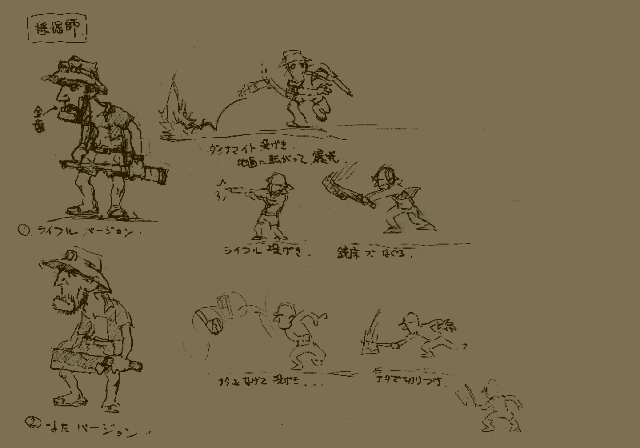 Early designs for the hunters in Mission 2 depicting them with rifles and hats, things they cannot wield and cannot wear. 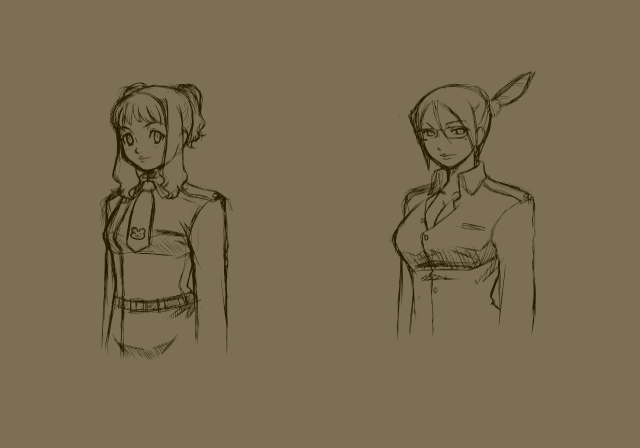 Early (top) and near-final (bottom) designs for the Combat School instructors Mary and Lilly. Concept art is sourced from the Metal Slug 6 Art Gallery and the Metal Slug Attack Illustration Gallery.